A practical, hands-on workshop where clinicians can upskill around the latest AAC systems available for trial and assessment consideration. This workshop will focus on low, mid and high-tech options for clients who meet CAT Level 1 criteria. 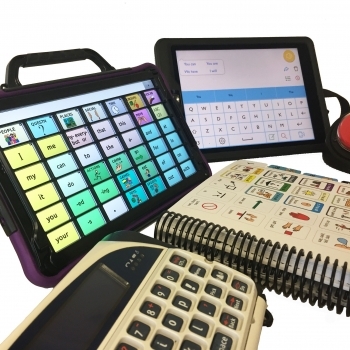 The day focusses on using SETT to inform decision making, identifying important features and functions of specific AAC tools and working through case examples to combine SETT and tool knowledge. Please note this is free to therapists enrolled in supervision through TalkLink. TalkLink Trust, Building 51, Entry 3, Unitec, Carrington Road, Mount Albert. Paid parking available on the Unitec Campus, please do not park outside the TalkLink Office. Are you currently being supervised by TalkLink?